Over the last month I’ve almost accidentally been carrying out an experiment to see what role influence has in online reach and trust. Last summer I quietly, and anonymously, started a website with the intention of covering music and culture in my hometown of Derby. We’re a city, but we’re small and we have some key problems – one being 25 minutes down the road (the bright lights and giddy nights of Nottingham), and the other being the apathy and downbeat attitudes comparing ourselves to our bigger neighbour instills. While we have an amazing and creative local scene we’re not great at telling people about it, or even always believing it ourselves. 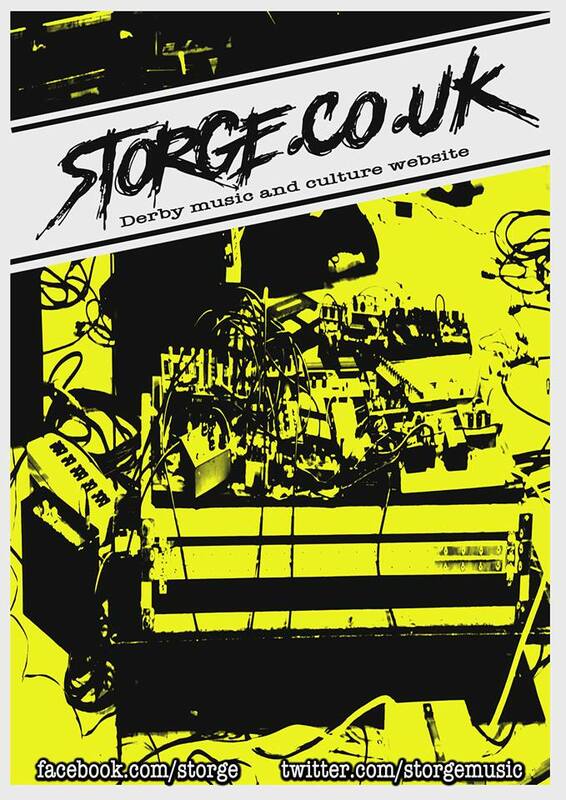 Fed up of saying ‘what Derby needs is a media champion to help with this stuff’ I finally JFDI and set up storge.co.uk (I actually first JFDI in about 1996 with the first fanzine I ran but the less said about that the better I think!). Last year was tentative steps. I was being kept busy by my other music journalism roles, and in running Reckless Yes Records alongside the rest of life. Storge found itself a firm place in my heart but sadly tended to hang around the bottom of my to do list. But come the reflective period of Christmas and a pending New Year I realised that my frustration was still as great with coverage of my wonderful local scene and decided to re-commit to the cause. I set myself a challenge to write and publish something on the site everyday – to prove to myself as much as anyone else that despite popular opinion stuff does happen in Derby. I’d been writing anonymously and it didn’t occur to me change that. I enjoyed the pressure-free aspect of labouring away under the guise of ‘The Editor’ and the occasional questions about who was behind the site from other key players in our scene. But over the course of the month the novelty of essentially being in a particularly slow episode of Spooks wore off and my anonymity became a burden rather than a blessing. That’s when I realised I’d inadvertently started an experiment – low key, not especially well thought through, but one where I could get an indication of the importance of influence on credibility and reach. Through January there were more than 1000 views of the site and the Facebook page grew by about 80 ‘likes’. People were sharing the stories – of which I was not short – and were beginning to proactively send me stuff they thought should be covered. On 1 February I revealed I was behind the site and something interesting happened. Views of the site increased hugely (within the first week of February we’d almost doubled the figure achieved in January) and the activity and likes on the Facebook page increased too (as of today there are 171 likes so we’ve added the same amount as we did in January almost). People commented that they liked trying to guess who it was, but they liked having a trusted name there too. Am I important to the local scene? Not terribly more than any other who is active on it. I co-run the local independent record label, I promote shows regularly, I do PR for some local bands and have covered others at Louder Than War. Of all this it’s undoubtedly the energy of Reckless Yes which has enthused others and been a catalyst in the local scene, igniting further the creativity and hard-work already happening. People seem to like that, people trust that. They now trust Storge too. What did I learn from this about influence? I learnt that if you find the influencers within a local community – be it geographic or interest – they will support your messages, grow your reach, and make your role a lot easier in lots of ways. They will act as a source of information as much as an amplifier of messages and they will help others trust you. Storge is still in its infancy but it’s already exceeded my expectations. As a journalist and local fan I’ve loved that not only have I been able to cover bands and art that I loved, but that I’ve discovered (or been shown) some real gems that were totally invisible to me despite proactively searching for stuff. Derby’s scene is more vibrant than even I knew. Digitally I’ve found a small but significant piece of evidence to strengthen my understanding that increasingly influencers are the most important part of any communication and community-building work. You can find Storge here, and on Facebook and Twitter. You can find me on Twitter – please come and chat! I’m a freelance digital content strategist and journalist. More about me and how to get in touch about working together here. I am editor of Louder Than War – find my words about music on the site here. We have launched as a magazine and you can find us in WHSmiths or order online here. I also write for Sounds Magazine. 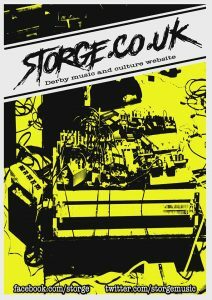 And I’m founder and Editor in Chief of Storge – a music and culture website for Derby and Derbyshire. I co-own record label, artist management and live music agency Reckless Yes. Find us hereand buy our records here. I offer music PR, live promotion and digital communications at Noble and Wild – our website,on Twitter and on Facebook. I also write fiction under the name Riley Reynolds – find out more about my books or chat to me on Twitter.